Your windows should add value to your business, not take value away. You want current, and potential, clients to appreciate the quality and design of your business’ windows; they are often the first impression a customer will get of your business. The staff at RK Graphics is here to help. We can install commercial window tinting, security window tinting, and UV window protection that looks great and provides the protection you need. 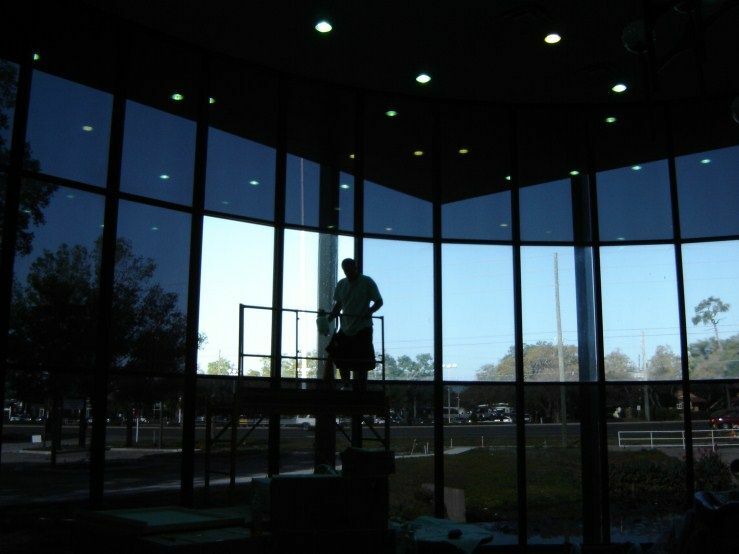 There is a wide variety of reasons why businesses choose to install window tints and films. Some businesses want to offer privacy and security to their staff and customers. Other companies want to create a consistent look and feel at all their business’ locations. Some businesses need to protect their equipment and products against harmful UV rays. Whatever the reason your business has for installing window tints and films, RK Graphics is the best company to meet these needs. RK Graphics has been in the business of installing UV window protection and security window film since 1991. We know how to install window films and tints right the first time. We have a wide selection of films and tints available and our team can help you make the right decision for your business. RK Graphics offer films and tinting services that can add security, protect against harmful UV rays, and add a uniform appearance to your property. Starting with your initial consultation, the staff at RK Graphics can make this process easy on you, your business, and your pocketbook. Not only do we pride ourselves in our work, but we also are dedicated to providing best-in-class service to the businesses in the Camanche, Clinton, and Fulton areas – your success is our success. Contact RK Graphics today to set up a free consultation. Call us at 800.556.8826 or visit our Contact page for more options. We look forward to working with you!